Every fall, new members of the Psi chapter spend the bizz week pledge period learning the history and traditions we are expected to uphold as brothers of Psi U. 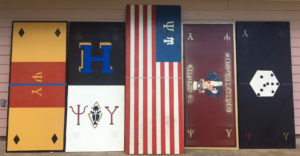 One of these traditions is the creation of the custom tables shown in the photo. 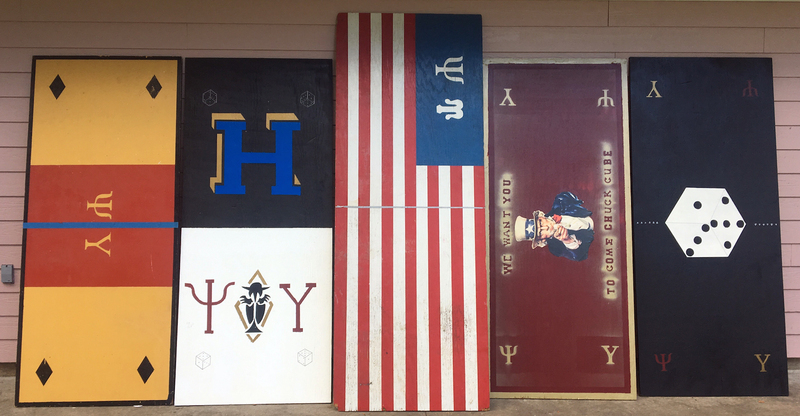 In addition to showing off their artistic prowess, the new members are able to gain an understanding of the heraldry of our chapter through the creation of these tables each year. 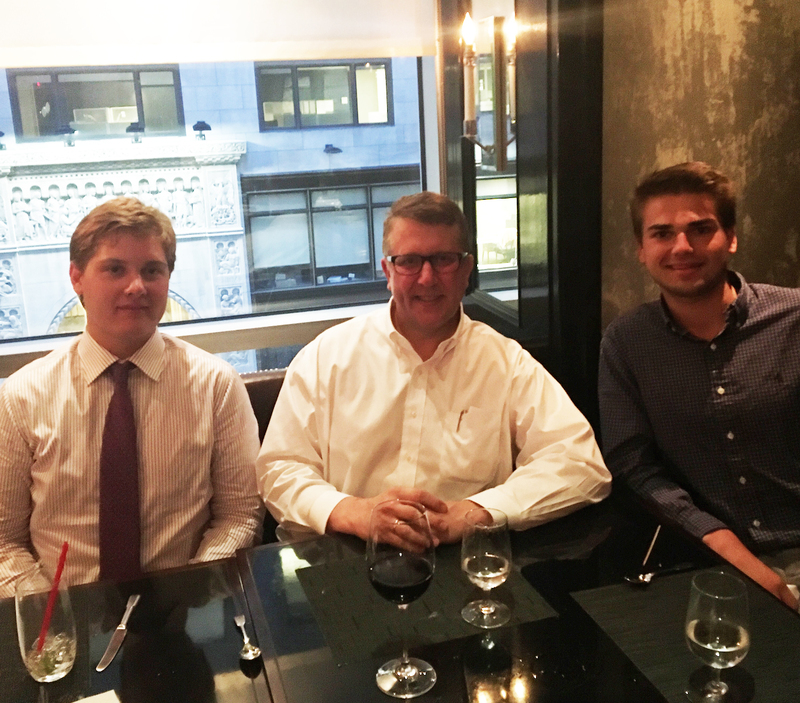 In August ’17, Psi Alumni President Pat Gilrane ’83 hosted former and current Archons Matt Foos ’18 and Jack Senneff ’19 at the Princeton Club in NYC. The dinner was a great opportunity for Psi leadership to discuss the upcoming year and plan for the September kickoff meeting, November Career Day, and March Traditions Day. 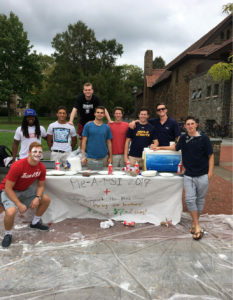 The brothers of the Psi chapter contributed to a successful fall philanthropy initiative. Pie a Psi ’17 offered members of the Hamilton community a chance to pie brothers in the face and contribute to a great cause. This year’s event raised $1,000 to support hurricane relief in the aftermath of Hurricanes Harvey and Irma. 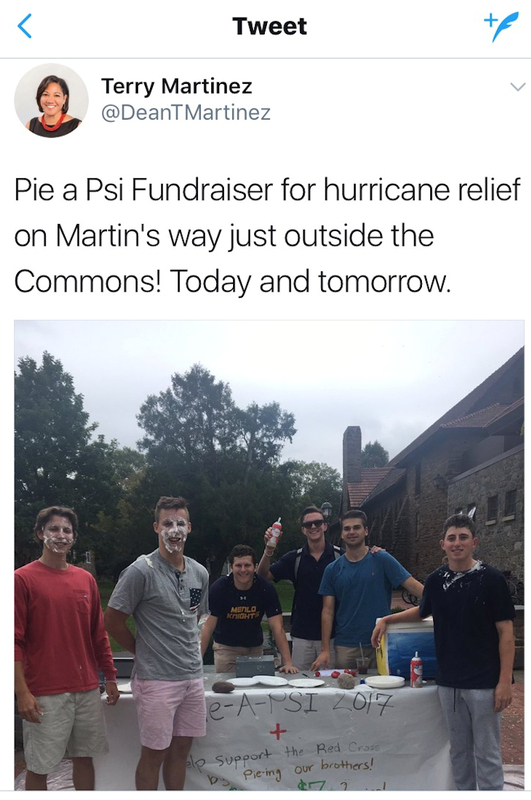 Psi U gained the attention of new Dean of Students, Terry Martinez, who thanked the chapter for its efforts and tweeted the attached photo. The Psi also conducted a phone-a-thon fundraiser through our generous alums leading up to the Hanging With Ted event in January ’18. The event will be held in honor of our late brother Ted Barrett ’14, and all proceeds will benefit the Shatterproof organization battling the substance abuse and addiction epidemic. Please contact Petey Michailidis ’16 for more details on the event. Thank you to all of the Psi alums who made donations! 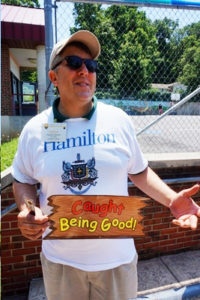 Patrick Gilrane has been the Alumni President for the Psi chapter for the past decade- helping to develop it into the positive force it is today. 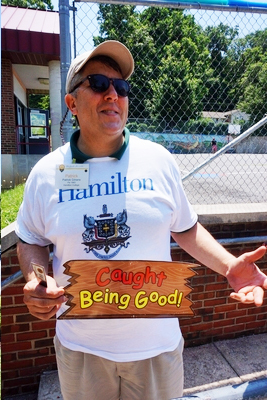 However, his effect on the Psi chapter has been felt since 1987 when he joined the Psi Chapter Board of Trustees. 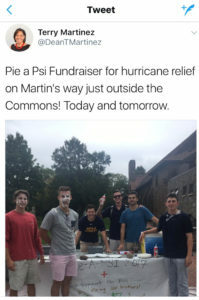 He was a pivotal force in orchestrating the return, and eventual surge, of alumni participation with the Psi chapter giving it one of the most vibrant alumni networks in the country. 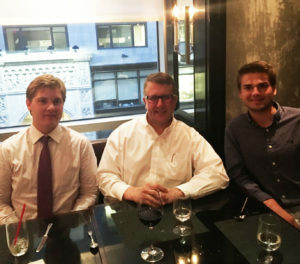 The current brothers enjoy his campus visits throughout the year, where he learns about every undergraduate, and loudly champion his influence on their career mentor program.